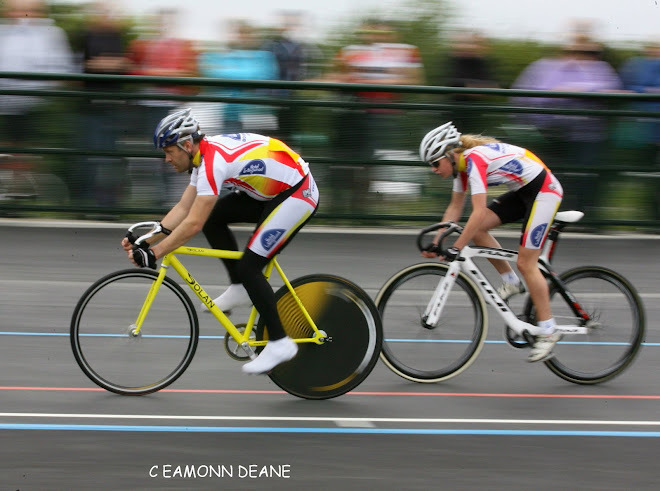 Town Centre Racing at Andover Cycling Festival this Summer! 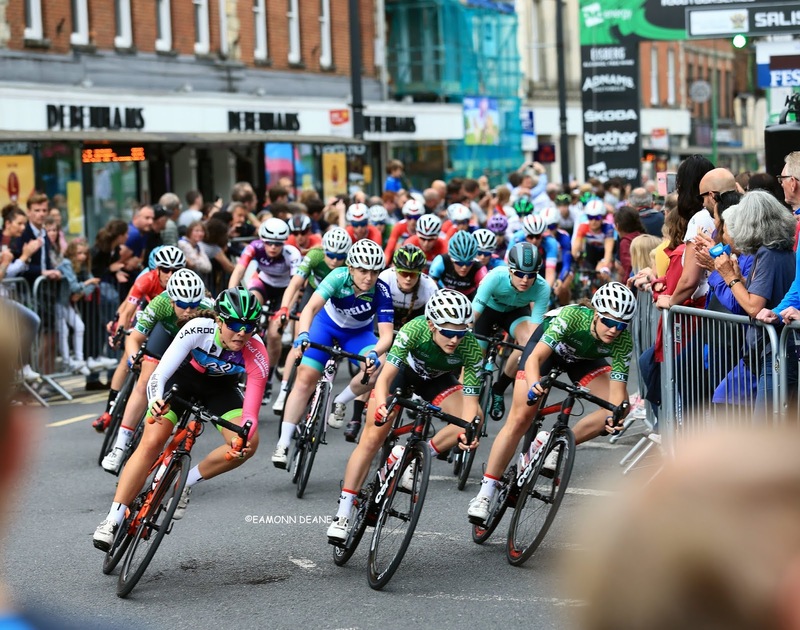 The Andover Cycling Festival takes place on the Sunday the 7th of July starting at the High Street on the Guildhall Square. 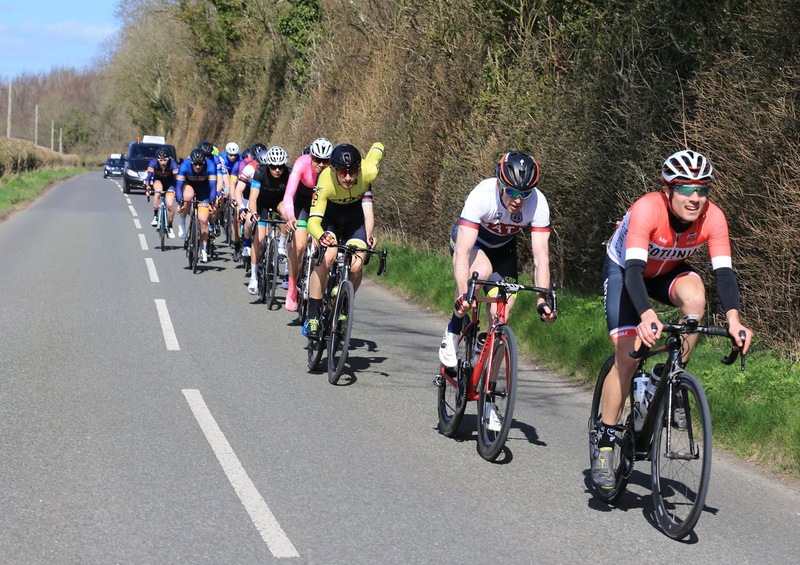 Following a successful festival last year, the event returns with three sportive rides and Schools and Family fun rides, this time on a one mile closed circuit in the town centre. 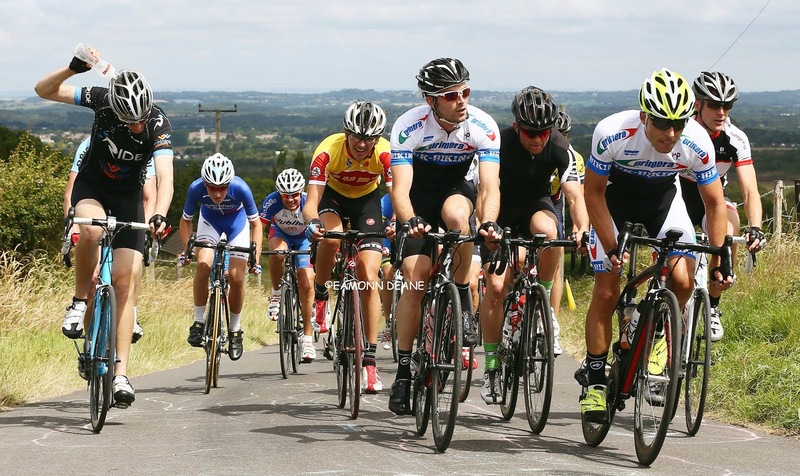 The festival also includes 5 criterium races, from 4th cat to Elite! 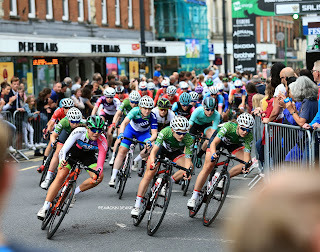 Organised by former Pro Harry Lodge, the town centre circuit promises "fast racing, with a gradual climb on finish straight". Lodge describes it as "Not a very technical circuit - a natural selection gradient. 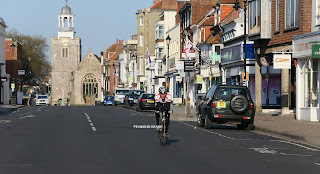 Smooth asphalt roads, with some light tiled surface in High Street." 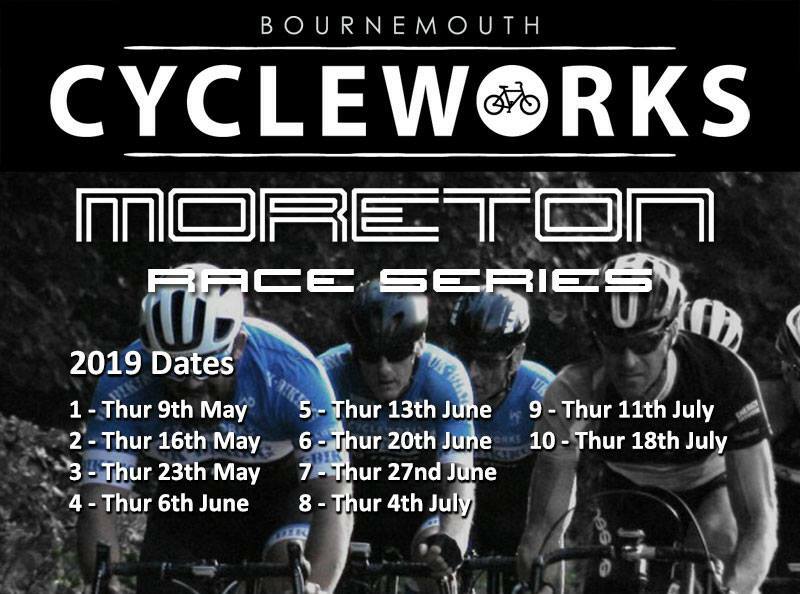 Supported by Bournemouth Cycleworks, the Moreton race series returns on May 9th and All rounds will have a women's only race again. New for 2019 will be a different format: The Open races will be 45 mins + 3 laps and 25 mins + 3 laps for the women. Prices will be £8 for open race, £5 for juniors and £5 for ladies race. There will be an additional £5 surcharge for on the day entries. 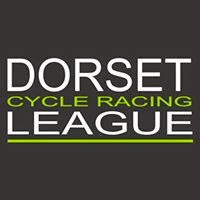 Everyone entering the races must already have a 2019 TLI license, you WILL NOT be able to enter without a 2019 license! 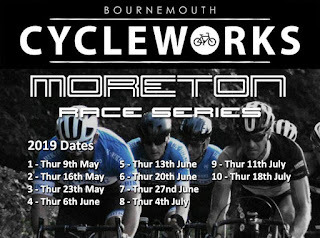 As with previous seasons there will be generous cash prizes from Bournemouth Cycleworks, season rankings and Dorset Cycle Racing League and TLI points on offer. 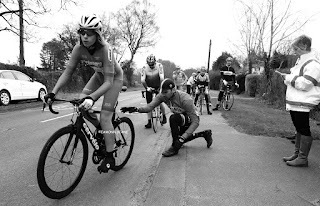 Marshalls are always needed and the Moreton organisers pay with cash, cake & coffee, either for one week or regularly. 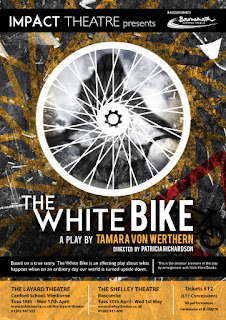 If you are riding then try and drag somebody along with you. 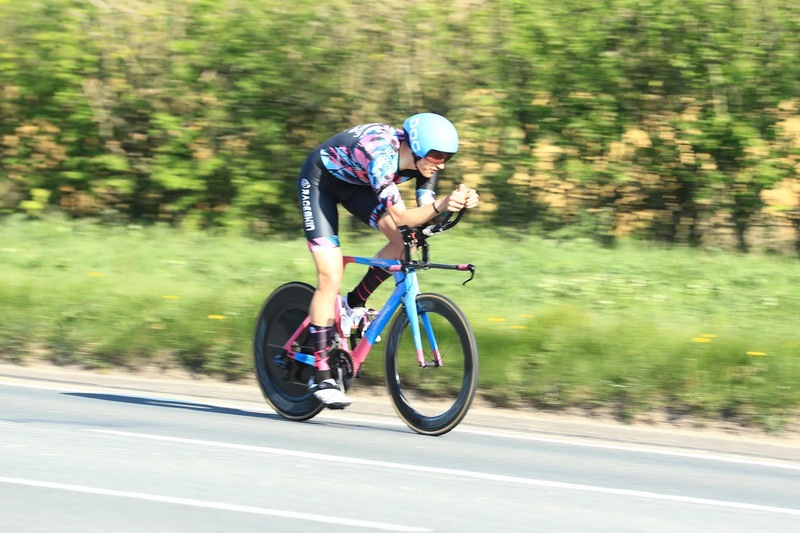 "Sue Longland had called in at the event when taking Glenn back to therehabilitation centre after his free pass and it was good to see himlooking so well despite not yet being fully recovered from his dreadful accident, about which he can remember nothing." Matt Burden (73 Degrees Bicycles) won the CC Weymouth 10 at Owermoigne on a perfect Sunday morning. 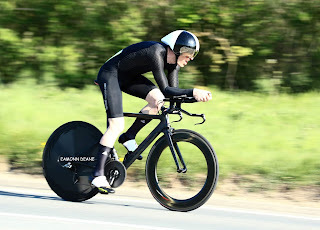 Burden clocked 20:41 to beat promising junior Tom Day (Giant Halo CC) by 7 seconds. 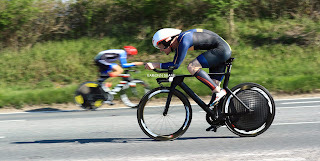 James Horton (VC St Raphael) salvaged 3rd spot wth 20:41 after being held up by farm traffic. Scratch man Gary Chambers (No Pinz) pulled out after feeling unwell during the week and Sam Wadsley (Primera-Teamjobs) missed the chance of a possible weekend double, suffering a rear wheel puncture on the start line. 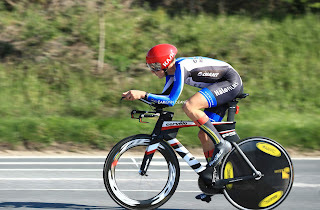 Wadsley had won the Bournemouth Arrow Good Friday event 48 hours earlier. Lizzy Stocker (IRIS RT) was fastest of the three women entered with 25:20. On a near windless morning the trip home from Winfrith was only marginally slower than the fast outward leg despite the agricultural activity. 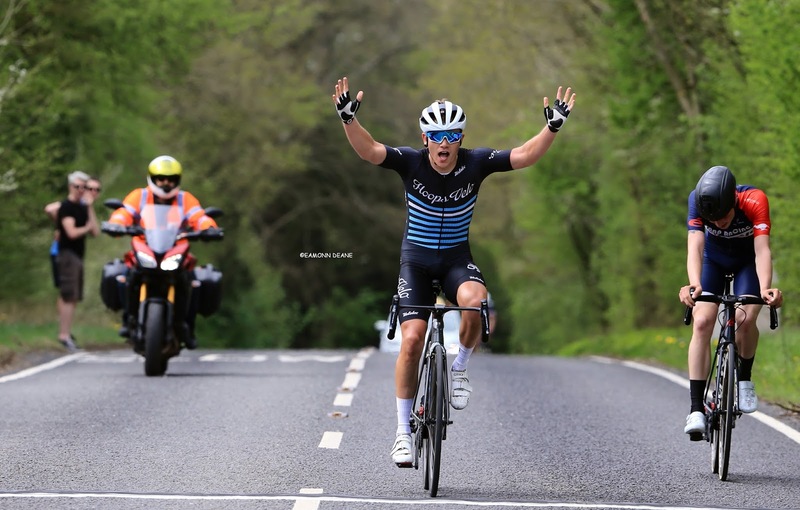 It is nearly 20 years since Matt Illingworth won the National title on this unfashionable course on the A352 between Wool and Weymouth in Dorset. Riding for the short-lived Linda McCartney road team, Illingworth set a course record time of 20:17 on his way to the title in May 1999, Adam Topham (High Wycombe CC) set a new mark of 20:03 in 2014. 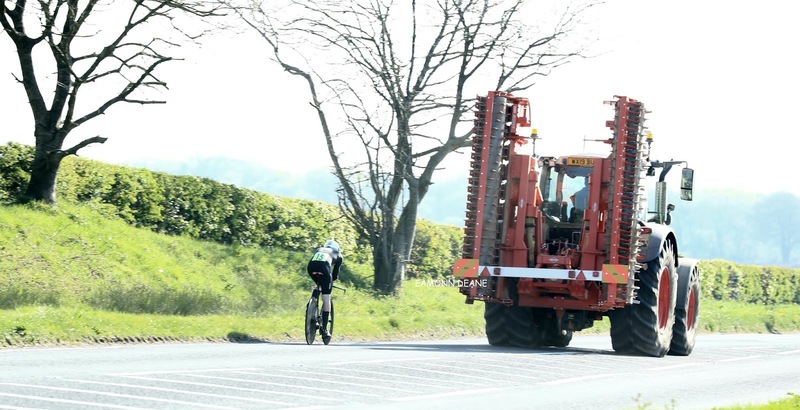 After disappointment due to the cancellation of the TT last week, this week Aron Kelly managed the win he’s been training for. 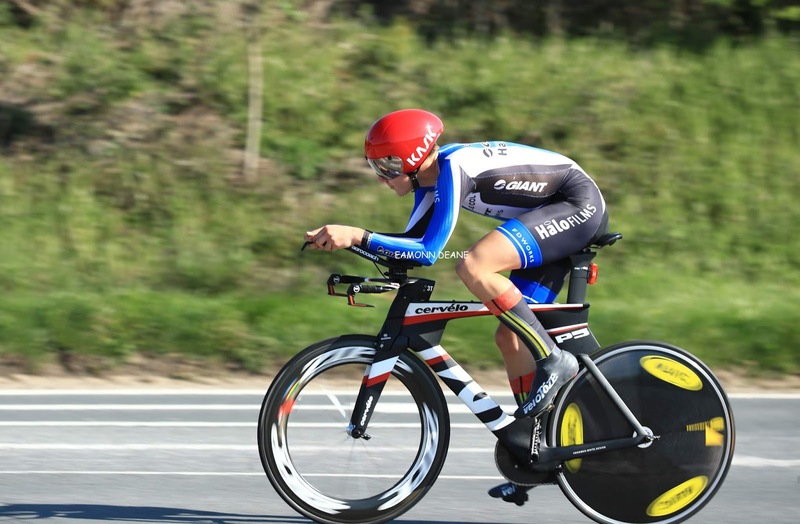 After giving up triathlon to focus on the bike, he’s hoping to have more success this year. 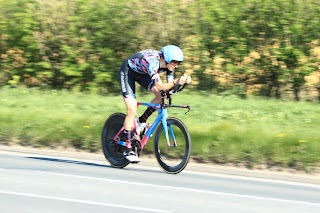 His partner Sonia Laurie was also fastest female, with a strong field of 5 NFCC female riders. 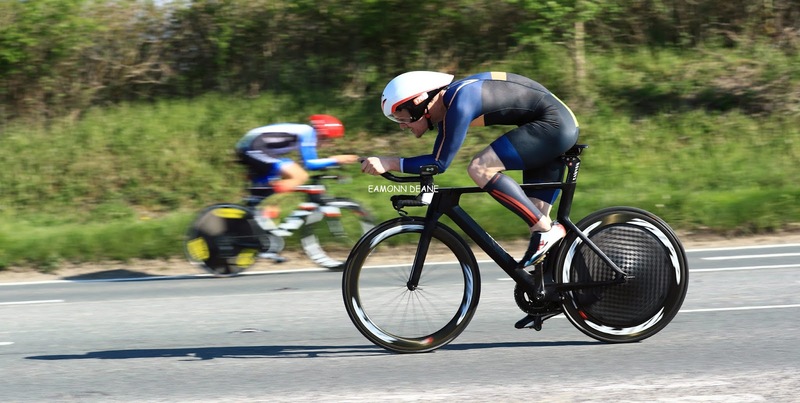 Twenty riders tackled the reasonably fast P170, that has a hill top finish as a final test. 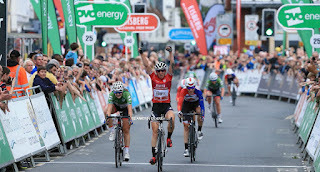 The event saw a return to racing of James Bannister for second place, third was claimed by new rider Ollie Caudwell who was very pleased with his ride. 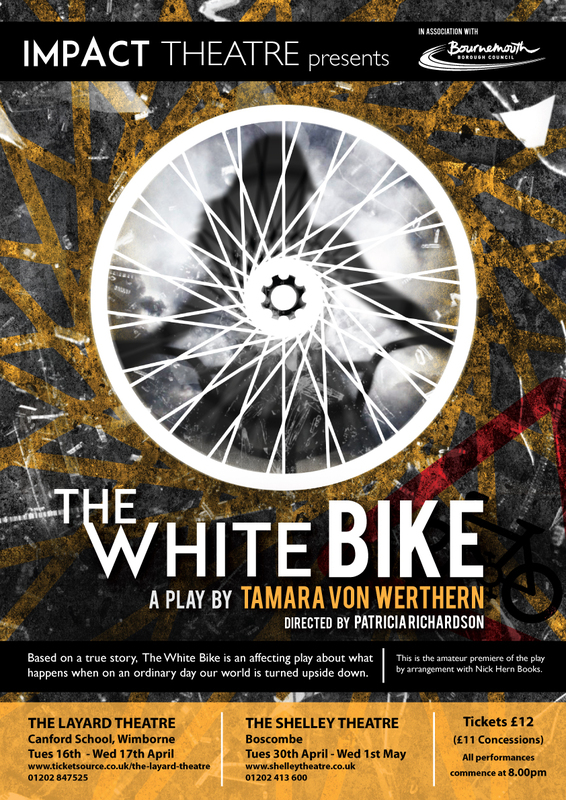 The event was more disappointing for some: George Weller managed to fall off his bike at the start; Alex Bennett missed his start time and had to wait 15 minutes to go off last; Catherine Pascoe’s rear wheel moved and she rode the event with a brake block rubbing; Stuart Peckham was looking forward to racing, but had to return his number when he realised he’d volunteered to marshal. A cold morning with another nagging wind from the east. The wind proved helpful on the leg back from Brockenhurst, but hindered on the first leg out. The course has a long climb, a couple of fast descents, but also a couple of short sharp ascents to keep upsetting the rhythm.First home was Primera rider Paul Jones; like most, riding full TT spec and hoping the weather would warm up, with a very good 57.29. Only he and Andy Rivett (VC San Raphael) made it under the hour. 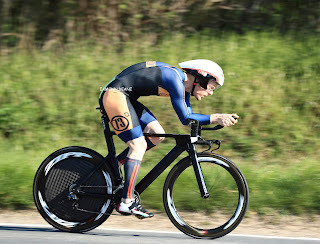 First New Forest rider was Richard Parker, claiming another early season win, with Phil Jones second NFCC and Richard Mason third home rider. Tuesday's (9th) event on the new P303B was cancelled at the HQ due to weather and poor numbers. 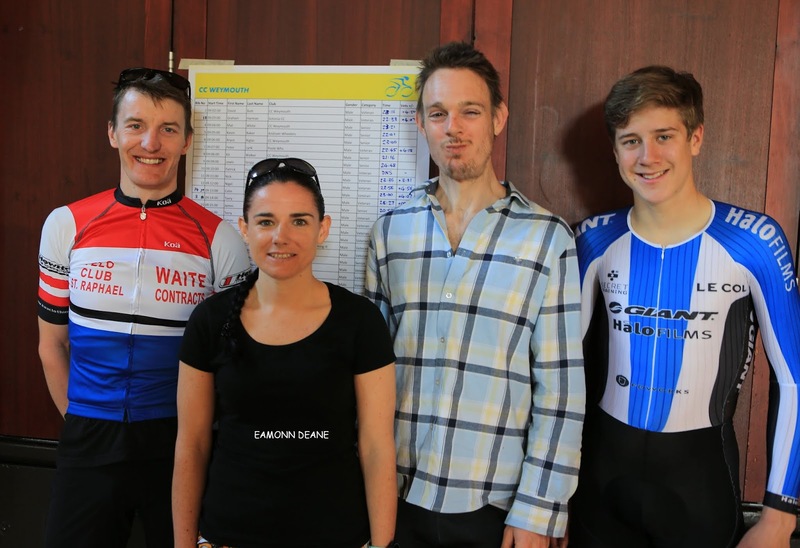 Dean Robson, Kirsty McSeveney, Sam Wadsley & Lizzy Stocker the winners at the Bournemouth Jubilee Wheelers sporting 42km time trial at Wool in Dorset on Sunday 7th April. A slightly warmer morning than the last few, but a rising easterly wind, at least helpful on the leg back from Ipley. A full complement of helpers, meaning a reduced field of riders, but made for a smooth running event. Also, a growing number of riders are now doing the popular Sunday morning ride rather than racing. Fastest home was Richard Parker, beating second claim Mike Anderson in his French racing team colours. 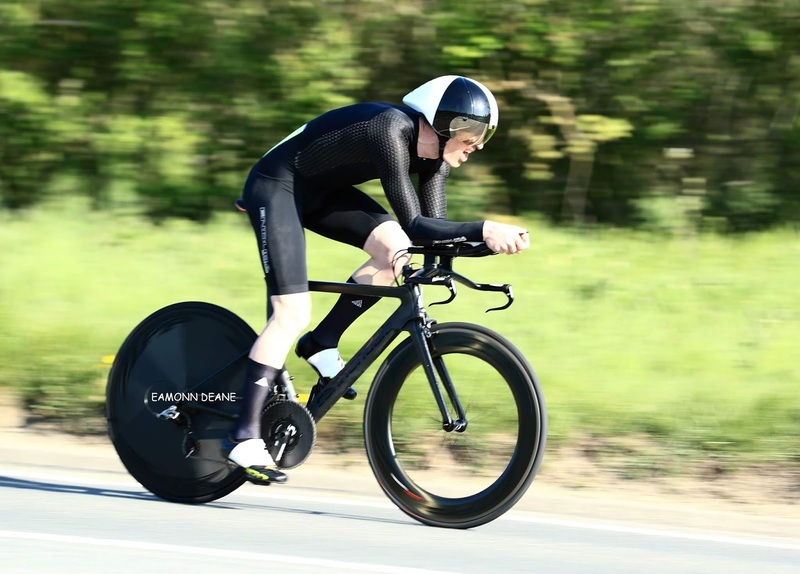 Richard Mason claimed another final step of the podium. 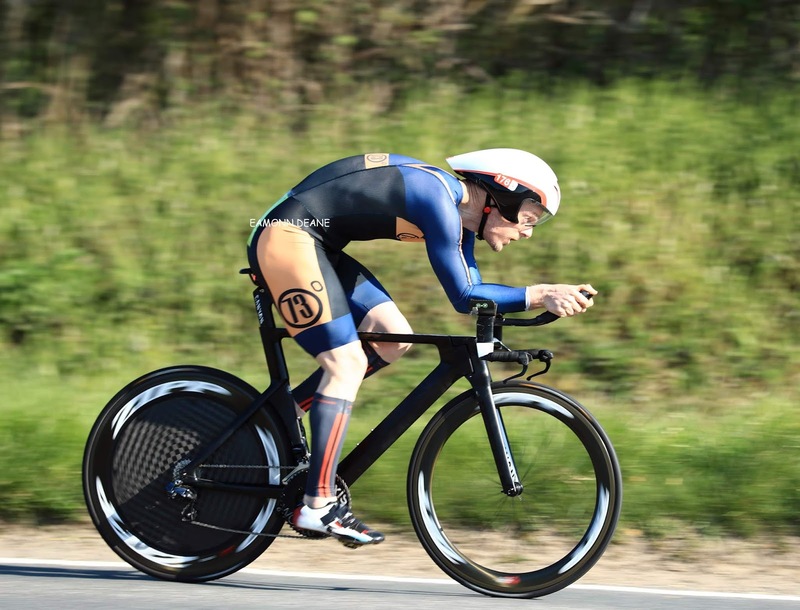 Young George Weller wasn’t put off by racing the previous week and returned to race, though suffered a minor mechanical issue with his cycling shoe. This week nobody fell foul of the club's new 'No Rear Light - No Ride' policy. 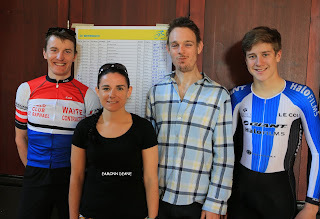 There is one further Sunday event before the club commences Tuesday evening racing. Entries are invited for this local classic time trial on Sunday May 5th. 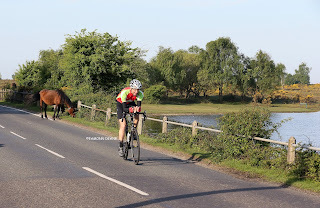 New Forest Cycling Club's unique annual 'Round the Forest' time trial on May 5th requires riders to negotiate cattle grids, level crossings, traffic lights, New Forest ponies & Lymington High Street! The New Forest Cycling Club have run this event for many years but have had to gradually reduce the distance from 64 miles to the current 33 miles due to the changes in road conditions, . 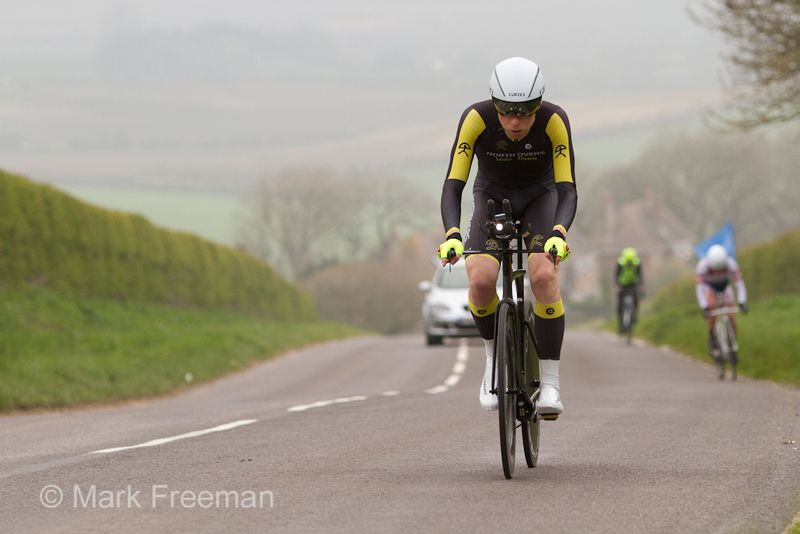 It presents an opportunity to race a circuit of the New Forest as the club try to show off the local roads. Starting from the Scout Hall in New Milton the route takes you to Lymington, Beaulieu, Lyndhurst and Walkford before returning to New Milton.